At this Brookdale Research Field, MBFI is researching polycrops. This page provides information about this particular research project; including the background, objectives, and updates. Polycrop bags mixed and ready for seeding! Nine species polycrop mixture ready to be seeded. Seeding the polycrop in mid-June. Polycropping is the use of multiple crops planted together, which are meant to complement each other's agronomic qualities and benefit the soil. Planting polycrops mimics Mother Nature in the way that a true native stand would also have lots of biodiversity. Test new forage mixes to address: forage agronomy concerns, forage productivity (both yield and quality) and animal performance. 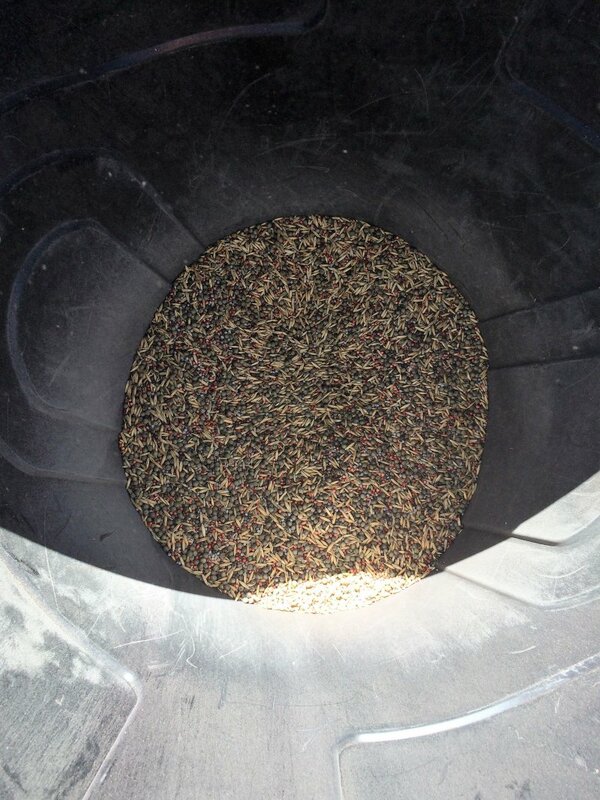 Increase beef cattle feed efficiency through improved general animal performance. Develop tools for industry to improve the selection of forages that improve the producer's ability to capture more profit from the herd. Develop farm management strateges that improve farm profitibility and inrease the crops ability to withstand environmental pressure (drought, flood). 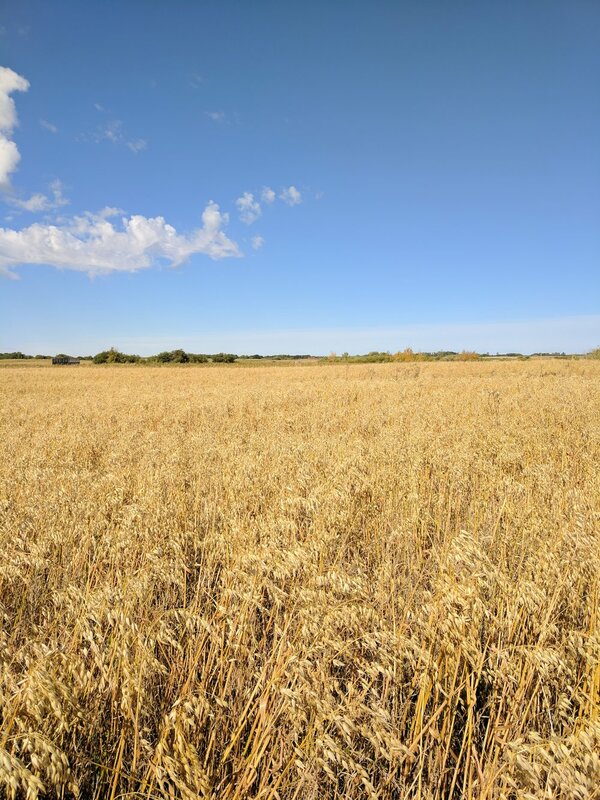 In addition there will be an additional 10 acres seeded to an annual polycrop mixture that is suitable for providing both fibre and protein. 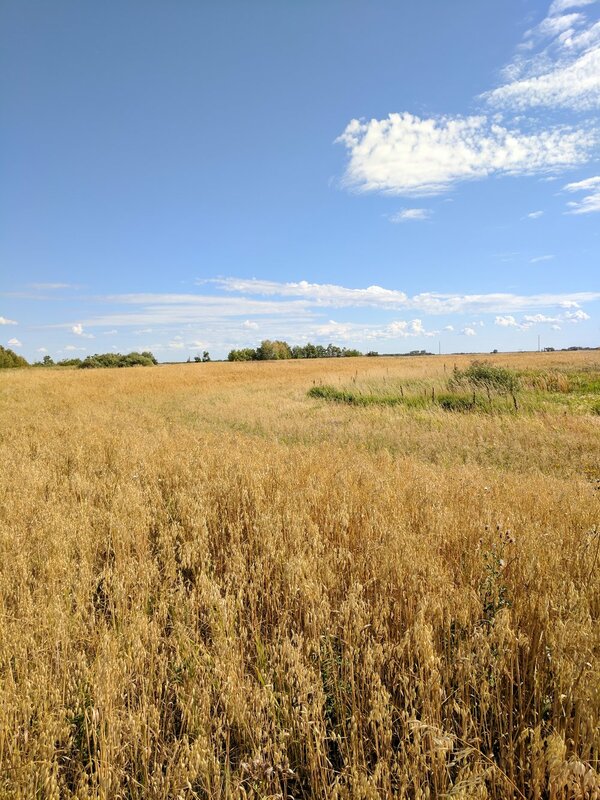 Another 7 acres will be seeded with a swath grazing mixture for optimal growth and high feed value. 25 cow/calf pairs will be grazing these acres in the early fall after coming off of perennial pastures. Sampling will take place prior to grazing for yield data and quality. As of November 2016-An above ground watering sytem was delveloped to the site. It will be recommended that there be further development to access more paddocks at this site through an extension of the poly pipe and spigotts. An internal area (8 acres) was fenced off with two high-tensile wires,with an additional solar powered/battery operated fencer so as the cattle did not have access to the paddocks that were not to be grazed. Perimiter fencing will be required to be upgraded (in the process of being replaced with barbed wire) as the calves continued to escape the field by going under the two-strand high tensile electric fence in low areas. 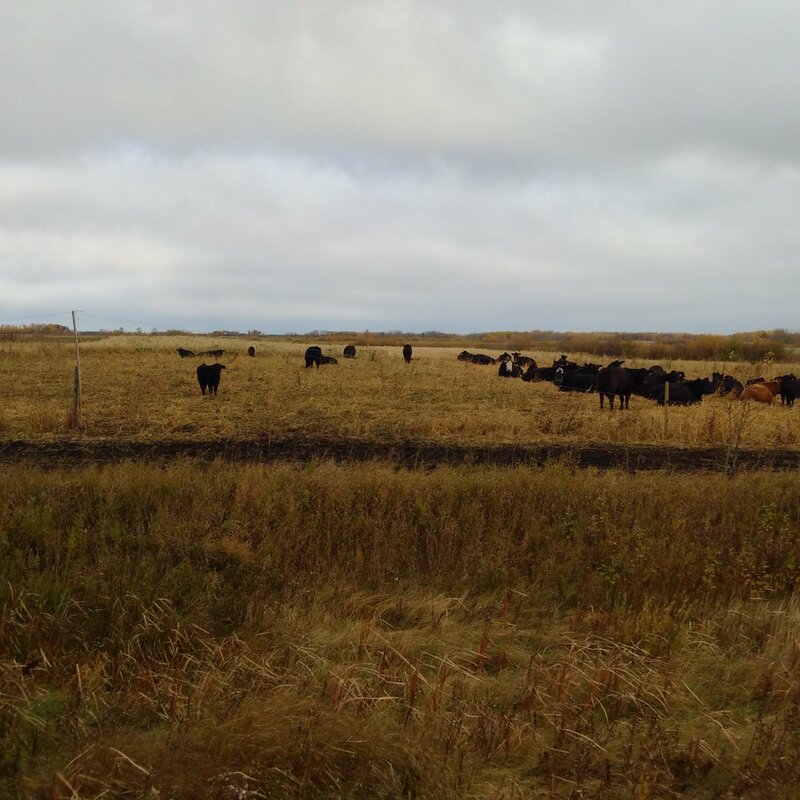 As of October 2016 - 25 cow-calf pairs were grazed on 14 acres for a period of 17 days. Due to excessive rainfall and a late frost the paddocks were trampled more than anticipated which resulted in increased forage waste. It was noted that increased cross fencing could have prevented some of the trampling, this will be taken into consideration in future years. Animal weights were taken and forage quality was measured; these results are being analyzed. The cattle were also grazed on smaller paddocks of the polycrop for the project entitled Polycrops and Soil Microbial Communities. Follow the link for more information on that project. 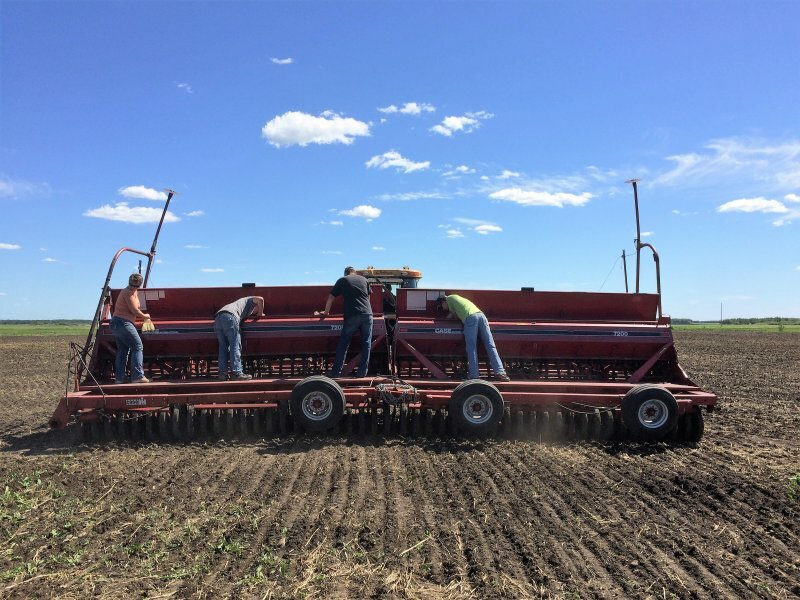 As of June 2016 - Twenty two acres of polycrop was scheduled to be seeded at the end of May 2016. Due to wet weather it was not seeded until June 13th but no significant impact is expected becuase of this change. There were a number of different mixes planted which had 1-species, 3-species, 6-species and 9 species included. In the fall of 2016 the cattle will graze the polycrop.